Community Living Belleville and Area is committed to providing quality services and supports in all areas of the organization. It ascribes to the principles and values inherent in Quality Measures 2005(SM). This approach to quality ensures that people supported are listened to, treated with respect, and supported to have active and meaningful roles in their community. Rights restrictions/limitations reviewed by an impartial body. 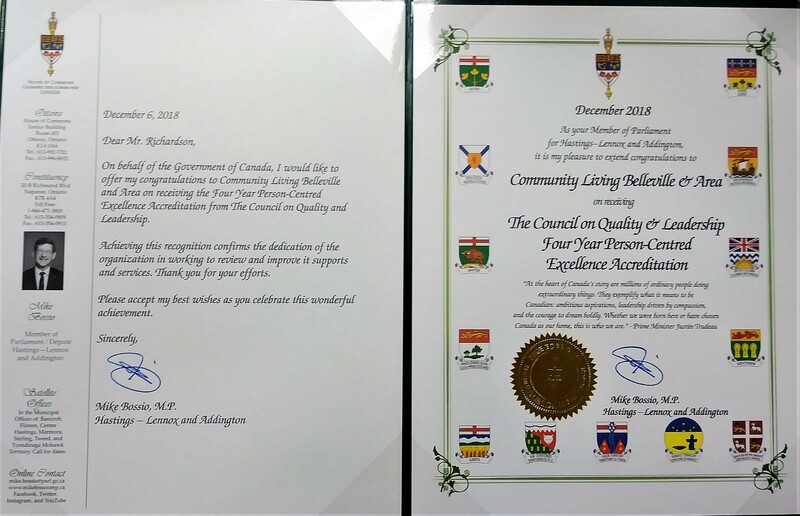 MP Mike Bossio, and the Government of Canada, congratulates Community Living Belleville and Area on receiving accreditation through CQL.